This past week has been filled with stress/anxiety. In the end, it was wasted energy. I had been scheduled for a follow-up heart catheterization …. the first time in three years, to check on my transplanted heart. About a week ago, the anxiety of this event started. I would pray, meditate, or work on some projects to help keep my mind busy and keep my anxiety at bay. But the 3 or 4 days prior to the cath were difficult. I know that my faith will protect me, it has never failed me ……. but each day that old anxiety would be there …. waiting for me to lapse ….. to give in to the fear. I fought it ……. and suddenly it was time …. SHOW TIME. On Thursday, after a nearly sleepless night, we were up long before 4AM and getting ready to go out the door a little after 5:15. The traffic was light, the nearly full April Pink moon hung in the sky and I admittedly had a fairly heavy foot on the accelerator …… we arrived at the hospital about an hour later. As I started through the “process” …… and my anxiety would rise and fall, and depending on how busy I was. The “process” keeps you occupied, and your mind off of your fears, when you are engaged with the “Best in the World” medical professionals …. asking you questions, trying to calm you (HIGH blood pressure ALWAYS rats you out) and physically interacting, via blood draws, EKG’s, IV placements and all of the other fun stuff that filled the day. But, the few times I was alone the fears and anxiety would creep back into the recesses of my mind. Eventually, the “process” would lead me to the Cath Lab …. a quite chilly, pristinely sterile area filled with medical stainless, bright lights and electronics that could compete with NASA, and of course a crew of wonderfully costumed medical experts. They worked, quickly, professionally ……. talking to each other with quiet voices, the Doctors were speaking to me and explaining everything that would happen …… then, the “twilight sedation” (Versed is my friend) I was promised was introduced and 45 minutes or so of drifting in and out of this reality it was over. Well, to be honest, that part of the “process” was over. Initial results were all smiles! After the cath, I was moved to another area, where the sheaths were removed, pressure was applied to stop the bleeding, after which a pressure bandage was added to my anatomy. All of this was followed by a move to another area …… and a very, very LONG, four hours laying flat on my back, not allowed to move my left lag (cath was left groin), nor was I allowed to lift me head …….. I dare you to try to eat a turkey sandwich in this position, LOL. Eventually, the four hours lapsed, and the staff professionally got me up, checked blood pressure sitting and standing. I took a short walk, the IV’s were removed, I got dressed, transportation arrived and I was taking by wheelchair and loaded in the passenger side of our car. Today, as I reflect on this past week I know how silly it is to worry ……. 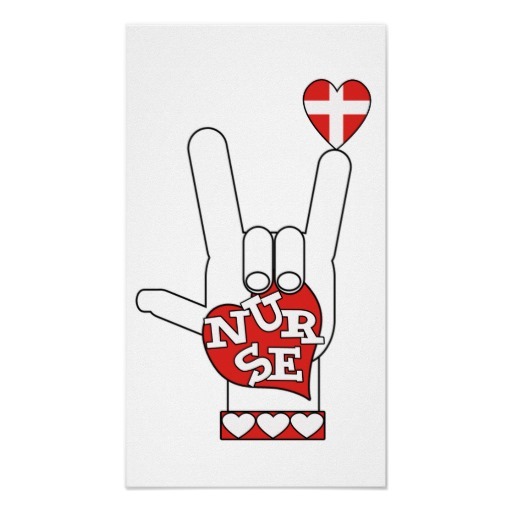 I have the absolute BEST cardiac doctors, CNP’s, nurses and techs in the entire world. But, I care for my new heart, I love my new heart …… and, I know I’ll probably have a lot of anxiety next time too. A wonderful friend suggested it was not simply anxiety, but the PTSD had reared its ugly head. And, I tend to agree. I was blessed with a great heart, from a great man. Benny Keith (my donor) and I had a lot of conversations this week during the periods on what the day would entail and my anxiety ….. he reminded me of my faith, he helped keep me grounded, he helped keep me positive. I heard him whisper to me, “You got this”. I thank God every day that he’s in my life, a HUGE part of me. May God always Bless his family. Today is Transplant Nurses Day!! If you are an organ transplant recipient, or are on the waiting list, send your transplant nurses and coordinators some much deserved LOVE! !